Ras Al Khaimah Free Trade Zone (RAK FTZ) offers a gateway to emerging markets with over 8,000 registered companies from 106 countries and 50 industry sectors. One of the fastest-growing free trade zones in the UAE, the RAK FTZ is 100% tax-free, allows 100% foreign ownership, and provides award-winning service to its clients. The costs of living and doing business in Ras Al Khaimah are markedly lower than other states of United Arab Emirates. 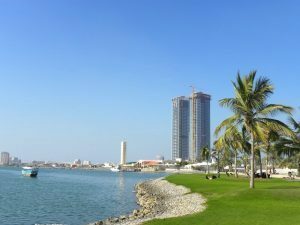 Named one of the top five free zones in the Middle East, the Ras Al Khaimah Free Trade Zone (RAK FTZ) has four unique free zone parks that will suit every investor according to their specific requirements. They include a Business Park, an Industrial Park, and Technology. For a Business Setup in Ras Al Khaimah Free Trade Zone (RAK FTZ), our Business Setup Consultants can assist you to ensure that you can get a Licence and visa without any hassle also in shortest period of time.